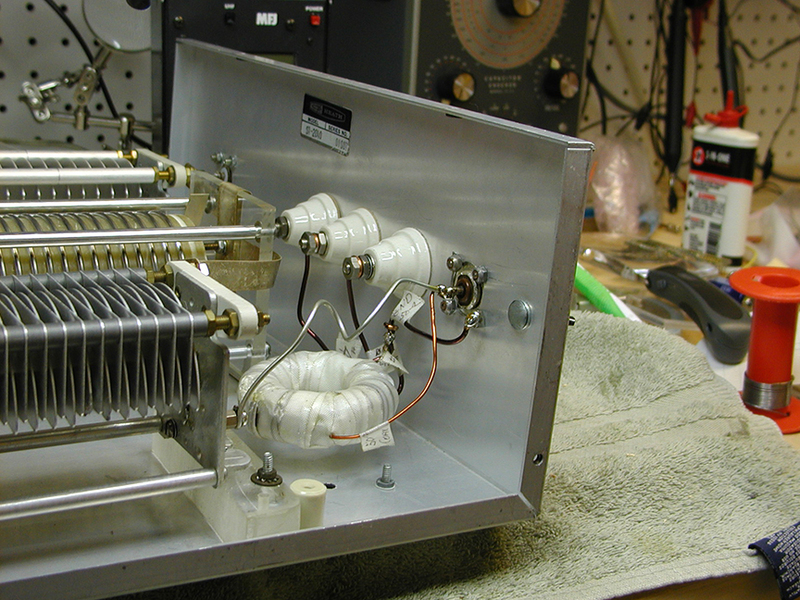 If you've visited this site before you know that one of my favorite pastimes is rebuilding old ham gear. 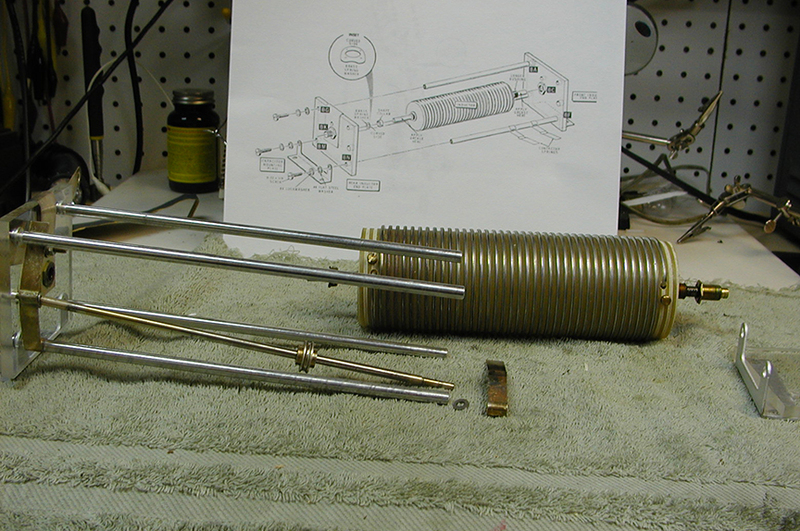 In this case I am into working on two of Heath's most popular antenna tuners. 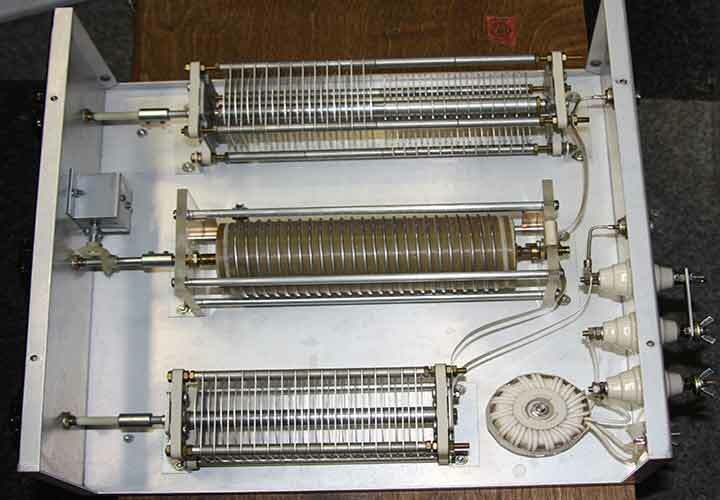 The SA-2040 is an 80 thru 10 meter tuner capable of handling 2000 watts PEP. 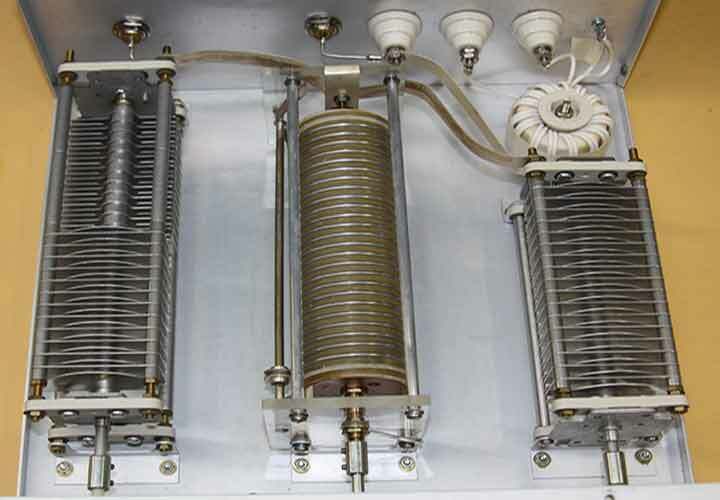 The SA-2060 was more expensive and contained internal SWR and Power meters and allowed switching several different antennas and would cover 160 meters thru 10 meters. First we'll tackle the 2040. I took the parts from two 2040s and used the best parts to make one really good one. It was necessary to replace the 1/1 balun with a 4/1 balun and change and rewire the connectors on the rear. 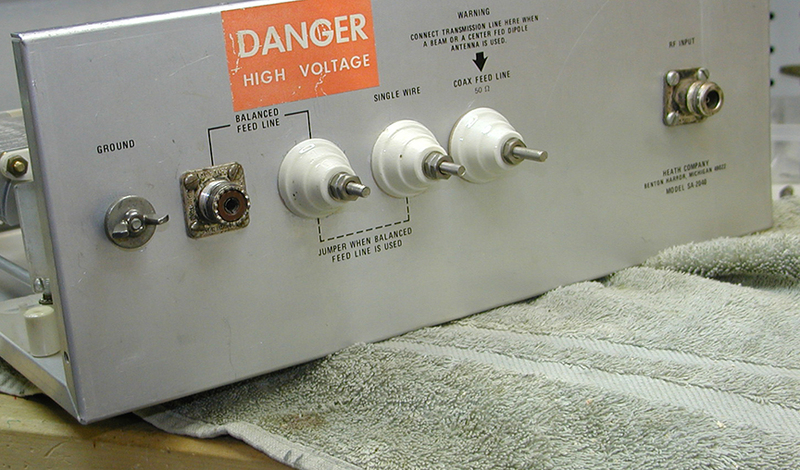 Then I put on some beautiful shiny knobs and placed this puppy in service. 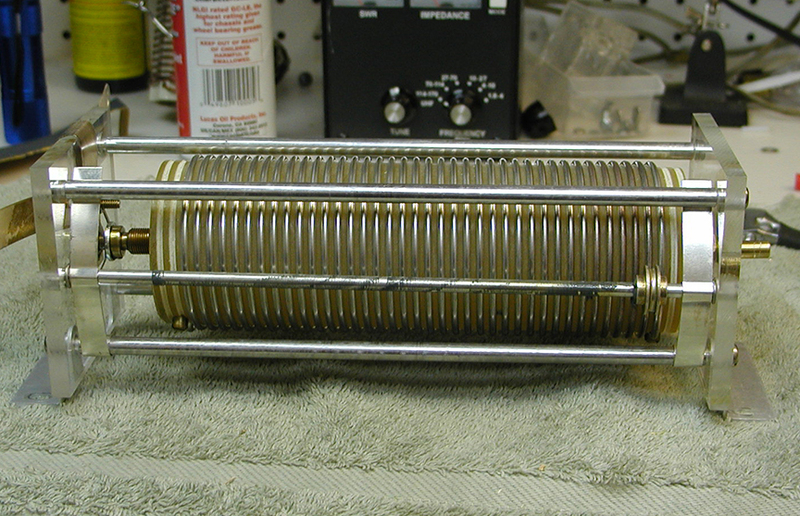 It worked fine and tuned my beam on 10/15/20 meters and my full-wave 80 meter loop on all bands 80-10 meters to a 1/1 SWR. Total cost of rebuilding about $250 and I had a lovely new/old tuner and some nice parts left over. 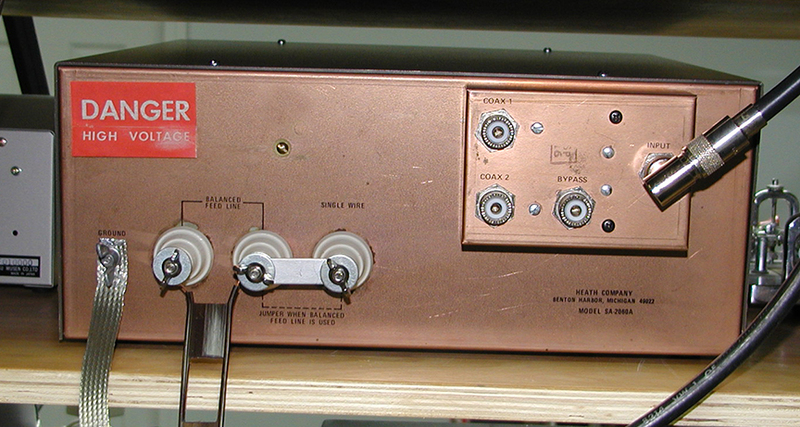 Next, let's take a look at the Heath 2060A Antenna tuner. This one was a "win" in an eBay auction and I paid $305 for it, which turned out to be a real bargain as far as manual antenna tuners goes. I was really pleased with the job the builder did on this tuner. No "cold solder" joints and an all around nice job. This model was more difficult to build than the SA2040. But just like the SA2040 in putting the SA2060A together, the builder actually had to "build" the capacitors from individual plates! 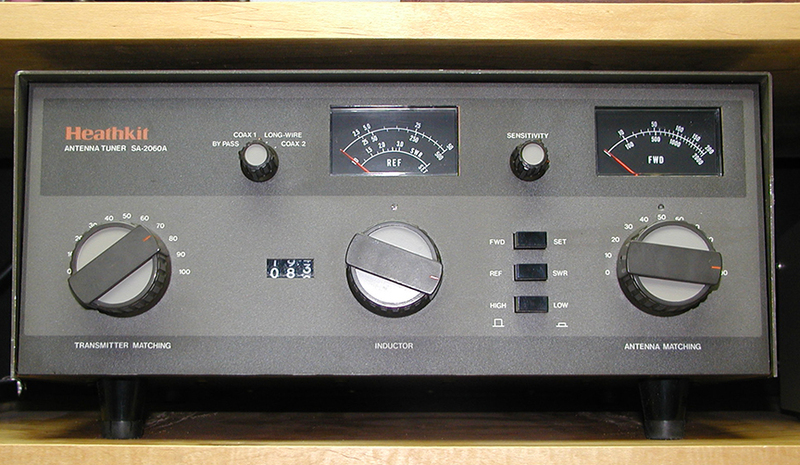 No manufactured capacitors in these home built Heath tuners.. Like the 2040 this SA2060A also is a simple "T-match" tuner, but it has switched antenna inputs and has a self-contained "RF power detector" in the rear box. 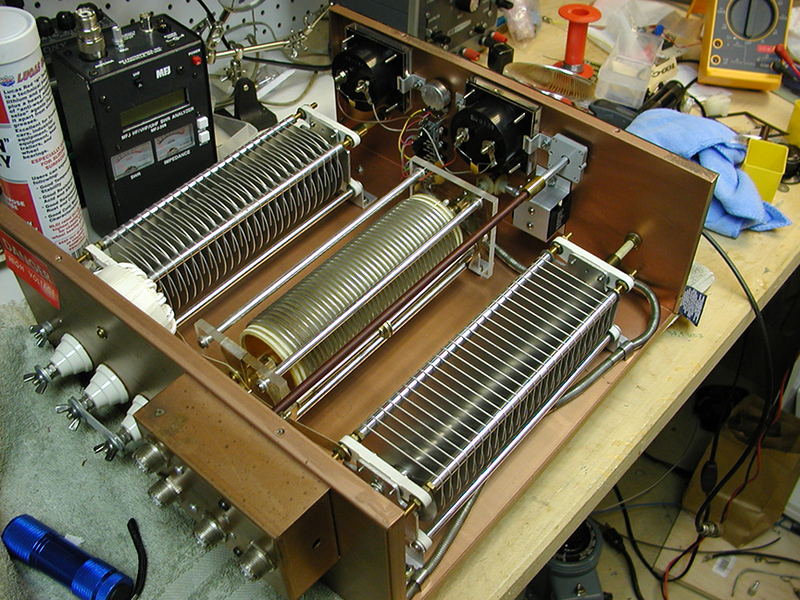 This was an ingenious way to convert RF to DC to to supply power for the SWR and Power meters on the front panel. (No battery or external power required!) A unique idea on the part of Heath. And, like all Heath products, the manuals were absolutely the best in the business. 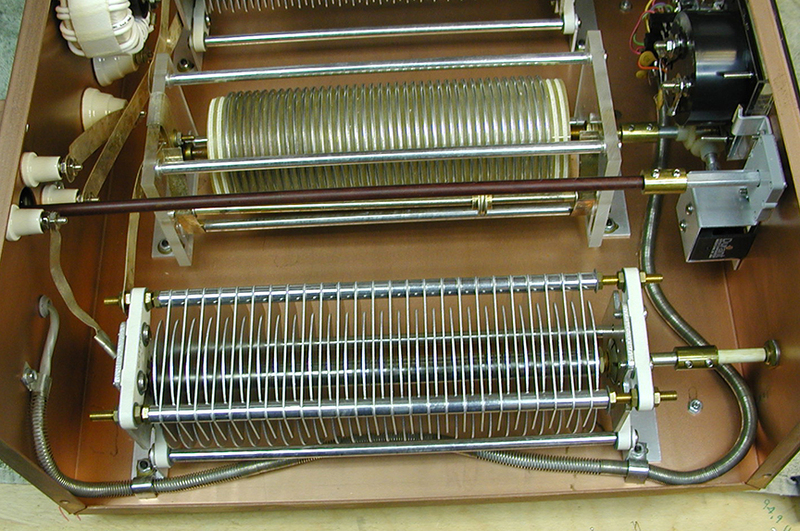 If you could "read" and solder, you could build Heathkits that worked as soon as you switched them on. But nothing is perfect, especially on a piece of gear that is maybe forty or more years old, so let's give this one a good close inspection and see what we find. Pitting on a roller such as this is usually caused by the operator "adjusting" the roller with high power applied. You should never do that. Always adjust a manual tuner at low power, especially on the higher frequencies. If you don't, you stand a good chance of pitting one like this. However, there is a repair, it just takes a little work. To get to the roller requires some "disassembling." Whenever you do this I advise taking pictures of the unit first, and making notes. It is too easy to forget where parts go or are connected. 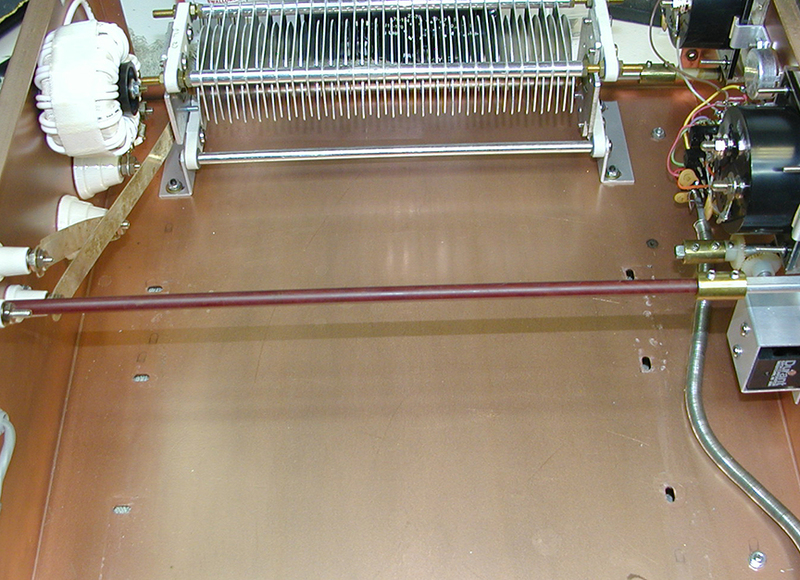 First it is necessary to remove the input capacitor to get to the roller, and then remove the roller! I suggest having a small box or pan to keep all the screws and washers and nuts together as you disassemble a piece of gear. And note how they were put in, so you can replace them just as they came out. 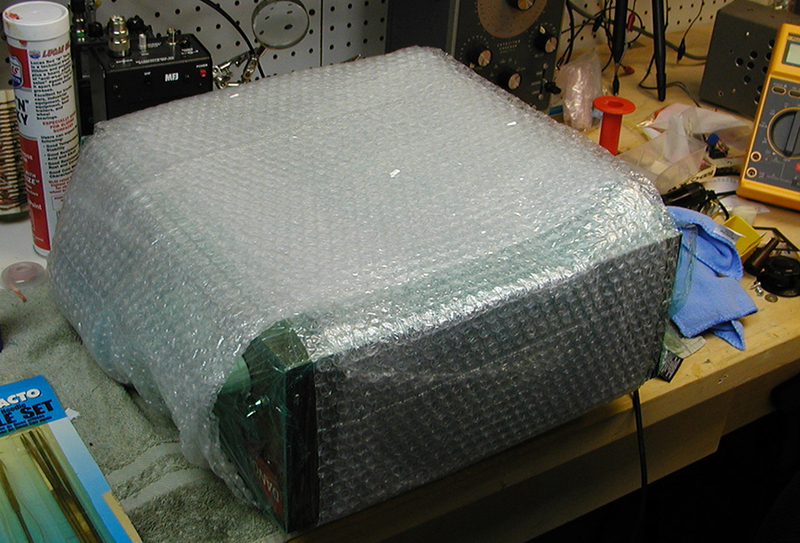 Unless you take this precaution it is too easy to lose small parts and in old gear, there are NO replacements. That's why I suggest taking pix and keeping notes as you do this job. 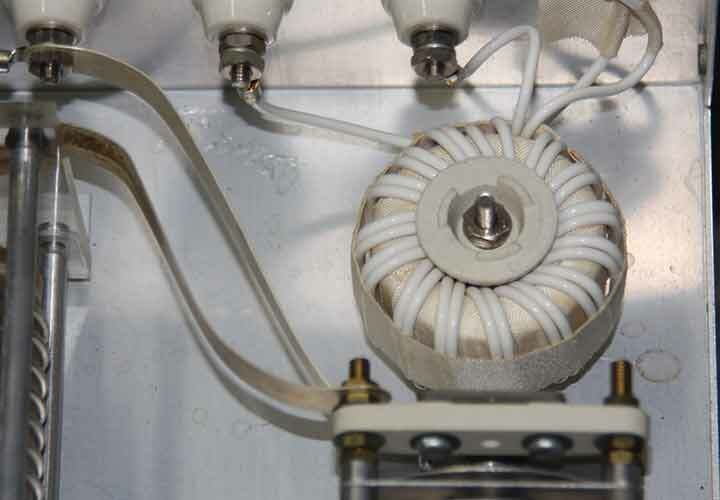 Here is a closer look at the pitted end of the roller on the left, or high frequency end. 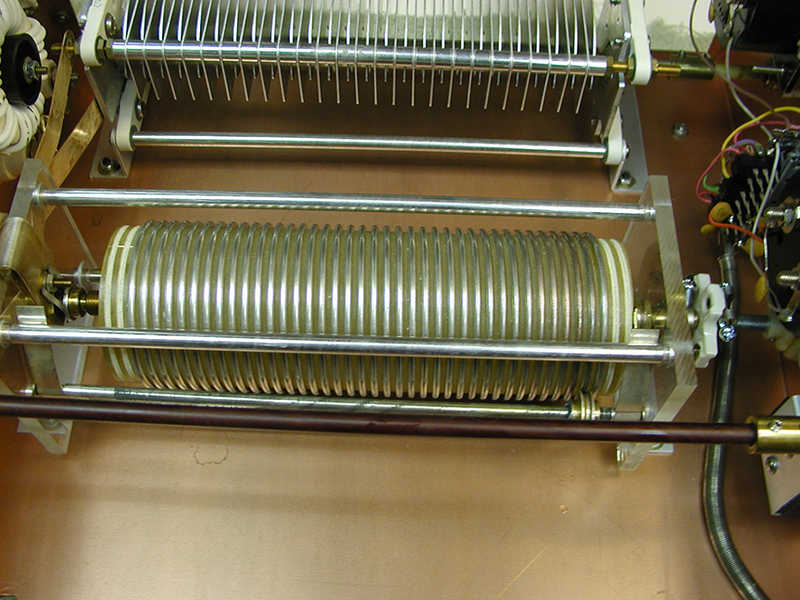 We can pull an "old timer's" trick by reversing the coil. 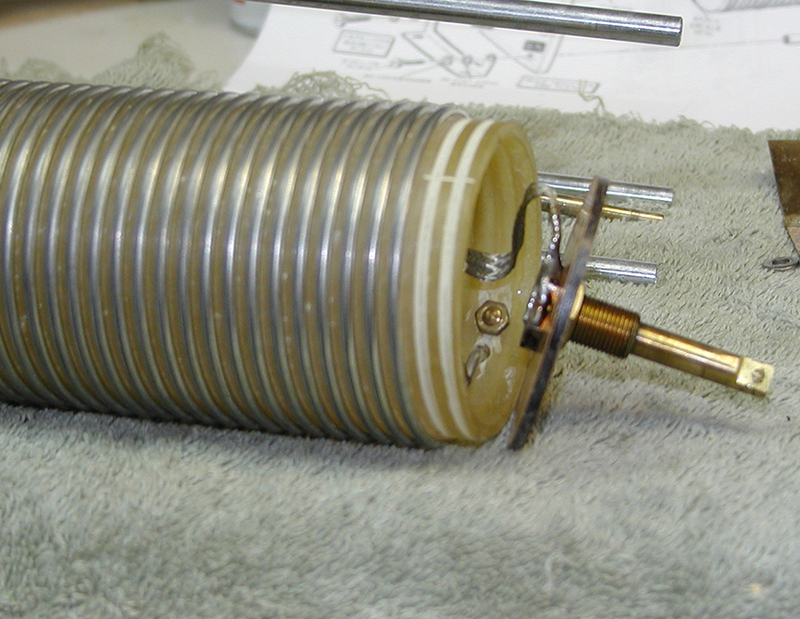 This will place nice clean, unpitted coil on the end when tuned to the higher freqs, and likely on the lower ones the roller will never get to the pitted end. 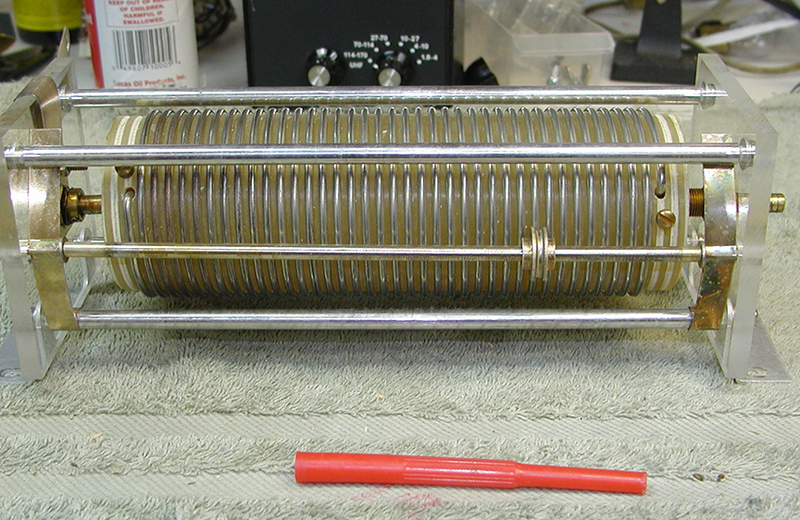 One other little problem - the old glue had given up and the disk at one end of the roller had come out. It had to be epoxied back in before the project continued. The "red object" in the foreground is what Heath supplied to put nuts in tight places. If you don't have one, borrow one from an old timer. They are a great time and trouble saver. 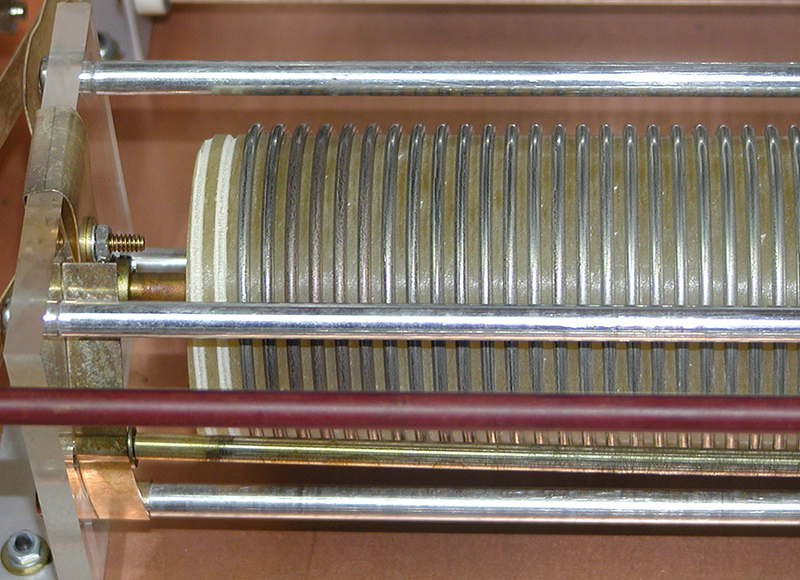 Here the roller has been reversed with nice clean end of the coil to the left. 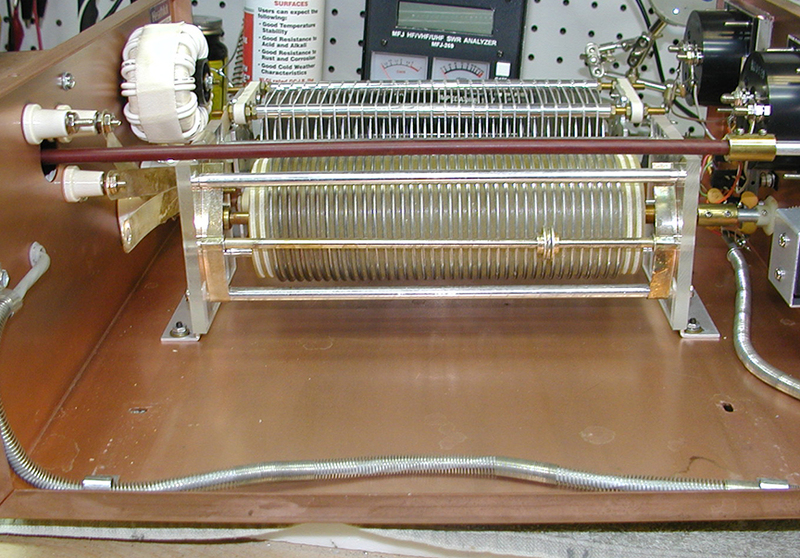 After that, it is merely reinstalling it in the tuner, and doing the same for the input capacitor. I also installed a flexible coupler between the roller and the panel shaft. This made it much easier to turn. You will do well, if you undertake projects such as this, to obtain the original manual. If you know how it was put together, you can more easily take it apart and then reassemble it. 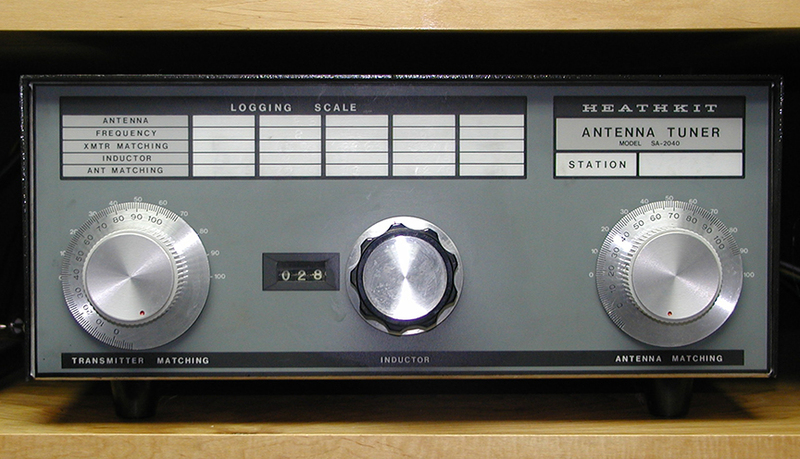 This refurbished tuner is now in my shack and is doing a bang-up job of tuning both my beam and my full-wave loop. I love it! 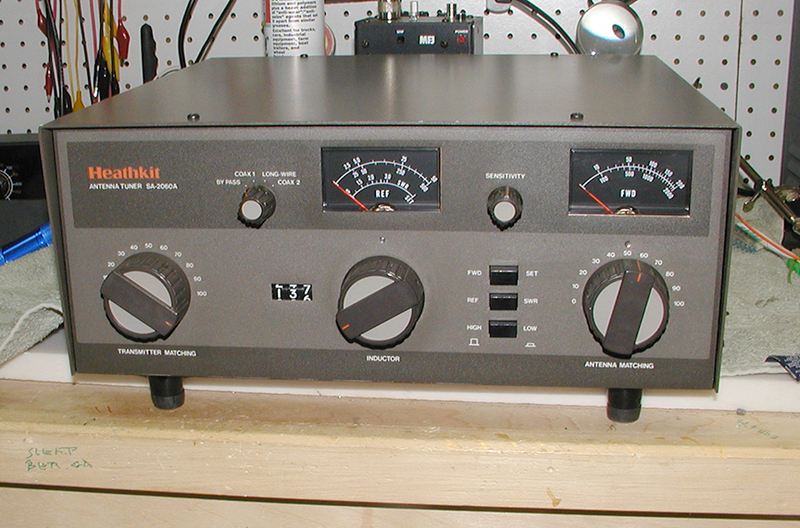 For me, it is a great pleasure and a big part of the ham radio experience to take an old piece of gear and rebuild it to as good or better condition than when it was some hams greatest new addition to his shack. Give it a try. I think you will enjoy the process. It's not difficult, and it is very rewarding.